Remove wings from marinade, allowing excess to drip off; discard marinade. 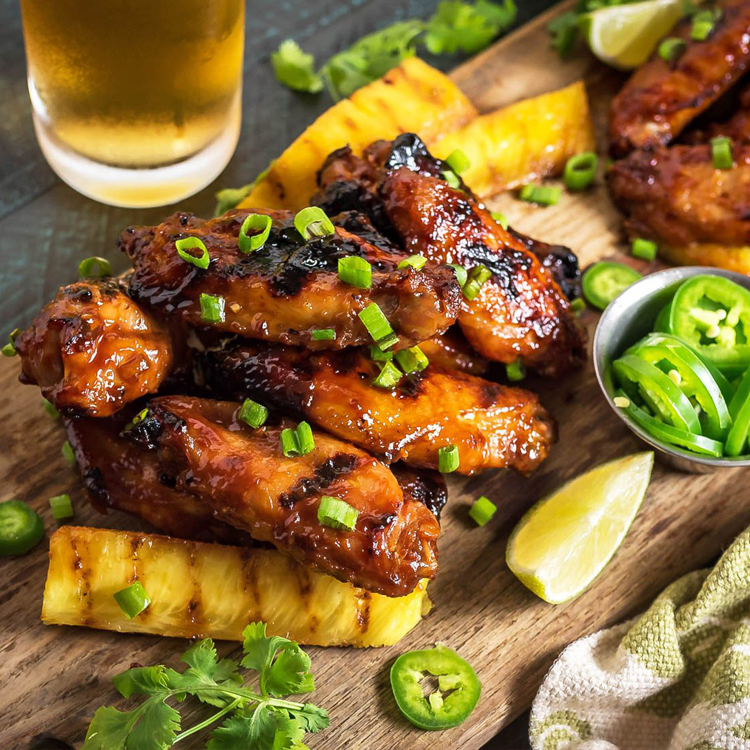 Place wings on cooler side of grill, cover with vents partially open, and cook, occasionally brushing with reserved often with sauce to build up a nice glaze.sauce and turning wings, until wings are well browned and cooked through, about 30 minutes. Move wings to hot side of grill and cook until browned all over, about 3 minutes per side, brushing.